In this section you'll find details of Training Organisations and Individual Trainers who provide teacher training or related services for English teachers. As the section grows, trainers will be listed by country to allow you to search more efficiently. In the meantime, click on any of the entries below to see more details on the sites listed. If you are a teacher trainer or represent a training organisation and would like to be added to our listings, please submit your details using the submit button at the bottom of this page. The English Attack! 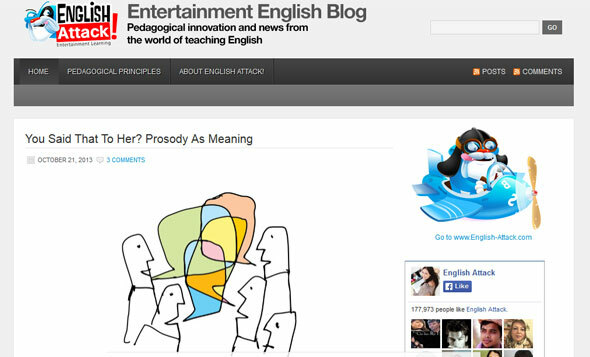 Entertainment English Blog explains and discusses various approaches in teaching English, in particular to teens and young adults. If you're thinking of training to be an English teacher, doing a CELTA or Cert TESOL course or if you have just started teaching, this blog is ideal for you! 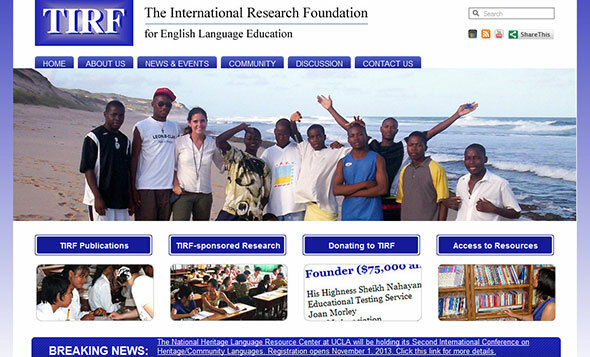 The mission of The International Research Foundation for English Language Education is to generate new knowledge about English language teaching and learning. www.englishteacherwebsites.com is a free to use, not for profit website created solely to serve as a single quality resource website for both English teachers and their students.